Who's ready to get their game on? 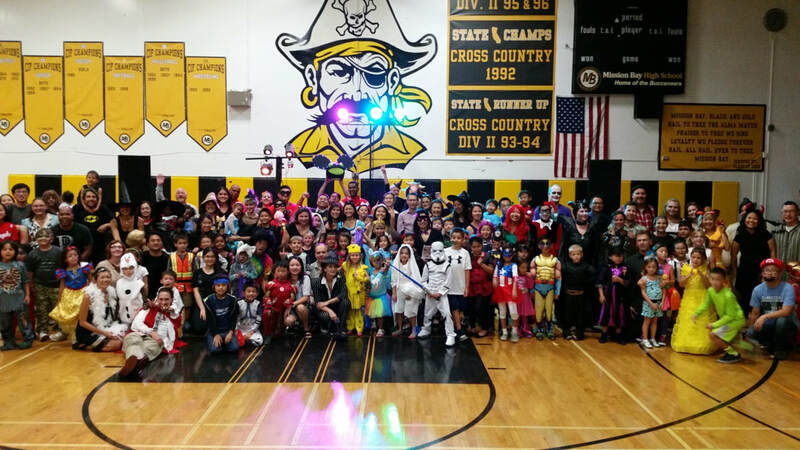 Join us for our 4th annual Costume Ball at Mission Bay High School's Gymnasium. This year the theme is video games! Come as your favorite video game character and get ready for fun additions like a Street Fighter Tournament and other classic arcade games, group competitions, and more fun activities. ​Be sure to dress up for our annual costume contests to win awesome prizes! Don't miss out! Game on! This is general admission ticket for a family up to 4 members. It does not include food but there will be snacks available for purchase should you get hungry. This ticket includes delicious Vietnamese food as well as other treats. This food is for pre-paying families only.